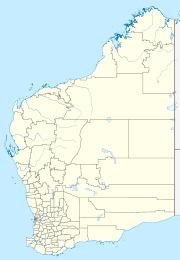 Parnpajinya is a small Aboriginal community, located proximate to Newman in the Pilbara Region of Western Australia, within the Shire of East Pilbara. The community is accessed via a sealed road from the Great Northern Highway, approximately 2 km north-east of Newman. The estimated population of Parnpajinya is 40 people. The residents generally identify themselves as being either Martu or Niabali people. The population fluctuates considerably due to its location proximate to Newman. This page was last edited on 7 March 2019, at 00:37 (UTC).